St. Anthony’s is a gated, resort-style retirement community that offers one and two bedroom apartment homes. Designed for members who are 62 years of age and better, this Brookside locale is perfect for those who wish to pursue an active, healthy and spiritual lifestyle. Our community welcomes all and offers a vibrant culture with the small-town charm of friendly neighbors, safety and security. Say hello to peace of mind with our low-maintenance, worry-free lifestyle in your own private residence. Imagine living the way you do now, but without all the hassles of owning a home. We also offer the option of future memory and assisted living care, should the need arise. St. Anthony’s is sponsored by Catholic Charities, in conjunction with The Catholic Diocese of Kansas City – St. Joseph, two organizations with a long-standing reputation for compassion, excellence and quality, and a strong spiritual support base. This sponsorship and our commitment to providing housing and care for active adults, 62 and better, will result in meaningful and purposeful lives for those we serve. Whether you are looking to downsize, rid yourself of the hassles of maintaining a home or need personalized care, St. Anthony’s can meet your needs. Our community offers Independent Living, Assisted Living and Memory Care. Talk to our highly trained staff to find out which lifestyle is right for you or your loved one. To keep up with our latest news, follow our Facebook page. We keep you updated on what's happening in and around our community. St. Anthony’s is a Catholic Continuing Care Retirement Community that shares the same vision of Catholic Charities and the Catholic Diocese of Kansas City–St. Joseph. Guided by the Holy Spirit, we will provide a better future for those who have pioneered our past. St. Anthony’s will give freedom, purpose and peace of mind to those seeking an active lifestyle that will encompass the spiritual, medical, physical, emotional, intellectual, social, environmental and vocational activities within a community rooted in Catholic principles and tradition. A culture of communion continually nourished by the works of charity, recognizing the inherent dignity of the human person created in the image and likeness of God. As the organization at the service of charity of the Bishop and Church of Kansas City–St. Joseph, the mission of Catholic Charities is to answer the commandment of Jesus Christ to love through service, advocacy, and empowerment of the vulnerable and those in need throughout northern and western Missouri. 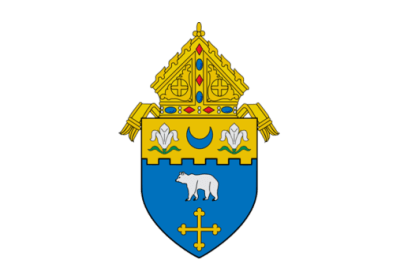 The Diocese of Kansas City–St. Joseph serves over 134,000 Catholics in 27 counties of northwestern Missouri, offering a wide variety of services. Praising God is the most important thing on our daily calendar. We are blessed to be a member of the Holy Catholic Church. We put first things first, which is why we offer the privilege and gift of daily Mass to offer the day to the Lord who is the source of all our blessings. Persons of all faiths welcome. Non-denominational services available. At St. Anthony’s, we are dedicated to an environment that supports the daily journey to draw closer to our Lord and Savior. We offer the best form of Catholic stewardship through our dedicated chapel and resident priest, sacraments and Sisters working in the Assisted Living and Memory Care communities.